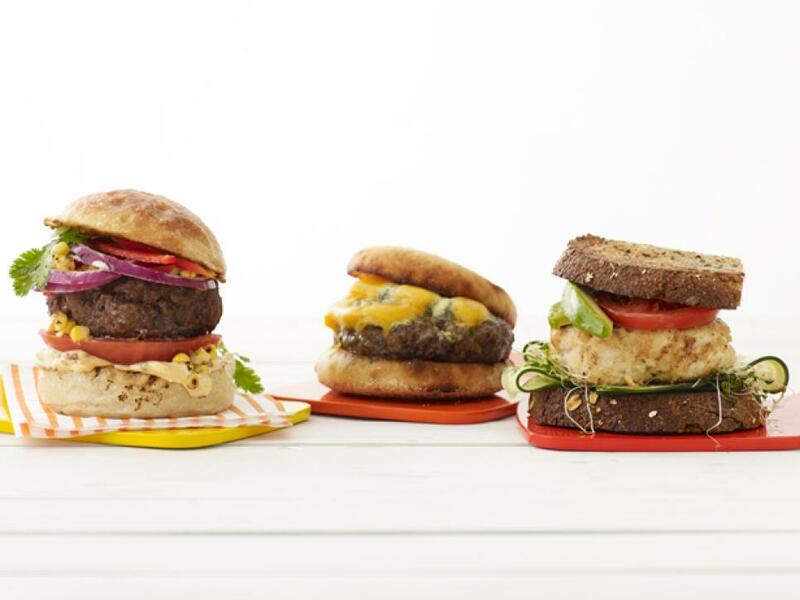 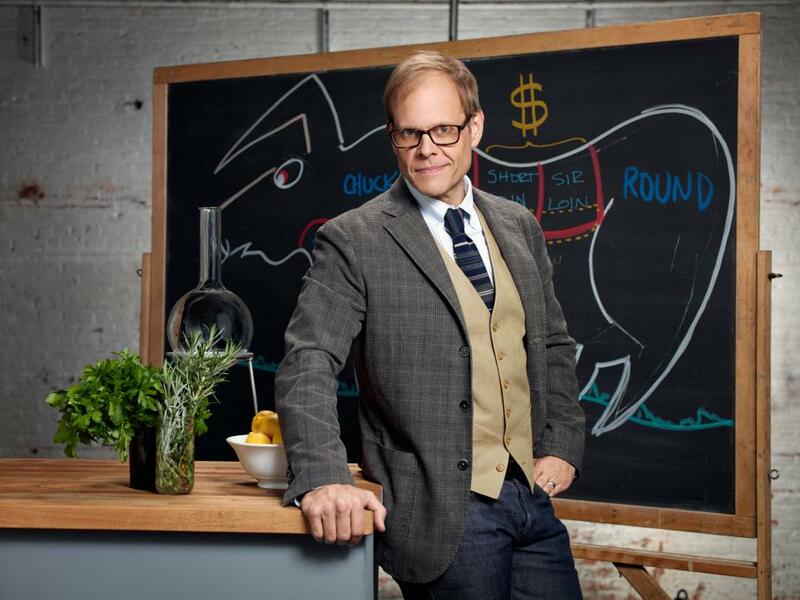 Alton's aptly named recipe will be your go-to burger all summer long. 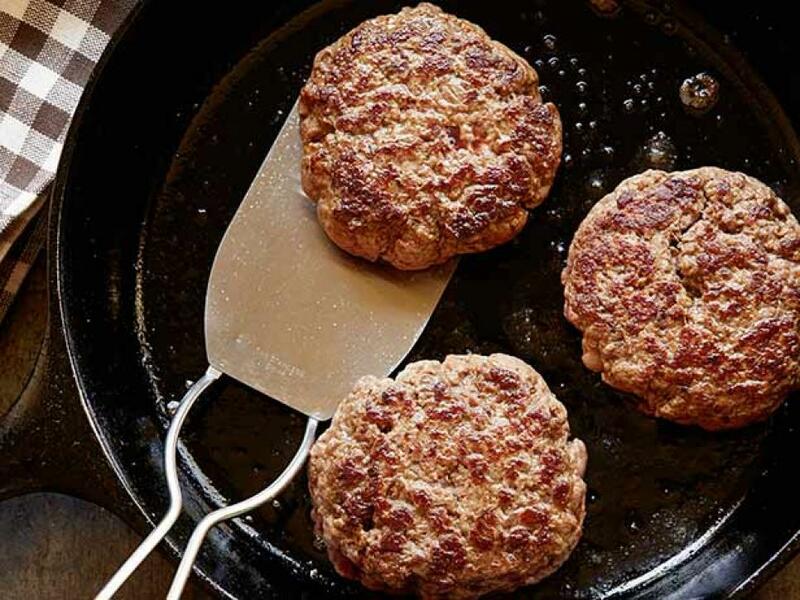 Make your own ground beef mix with sirloin, chuck and just a pinch of salt for moist and tender patties every time. 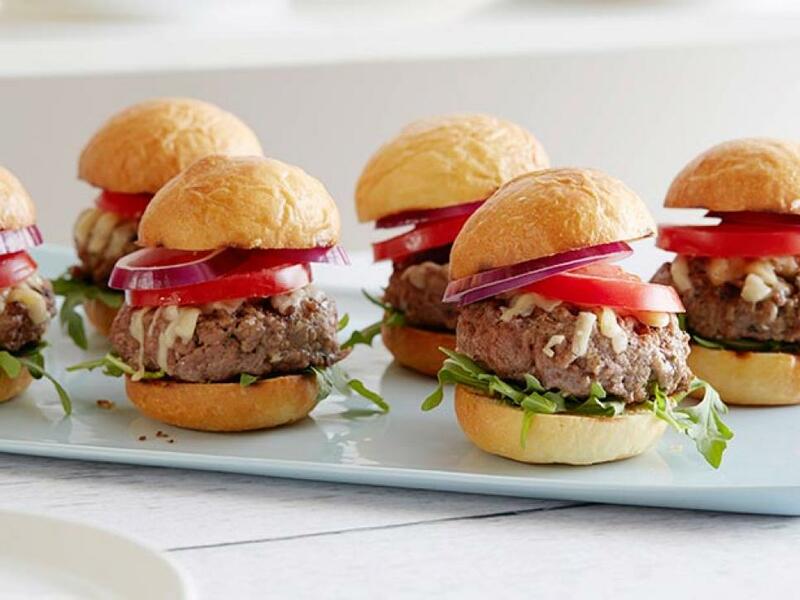 Ina mixes the beef for her mini burgers with garlic and fresh thyme to infuse the patty with flavor, then tops the juicy bites with nutty Gruyere cheese, fresh arugula and sliced tomato. 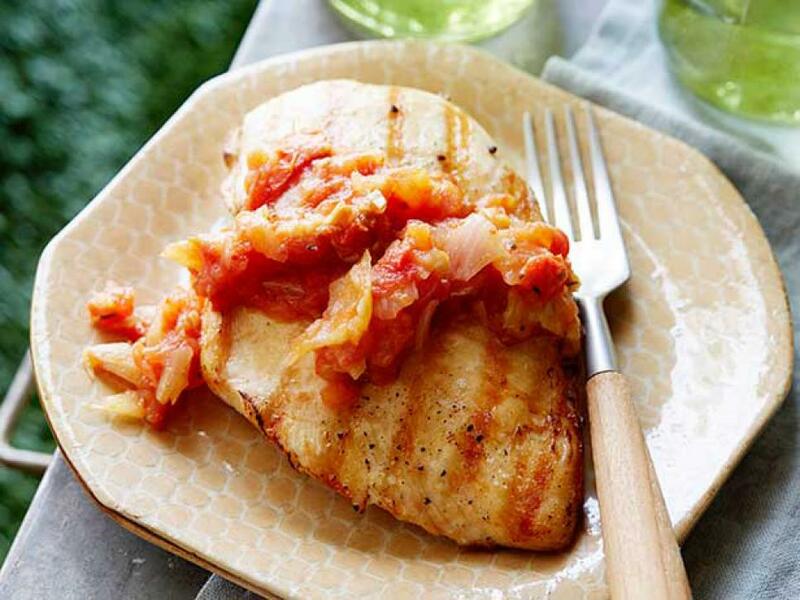 Melissa tops each juicy chicken breast with a simple sauce of roasted tomatoes, garlic and fresh thyme. 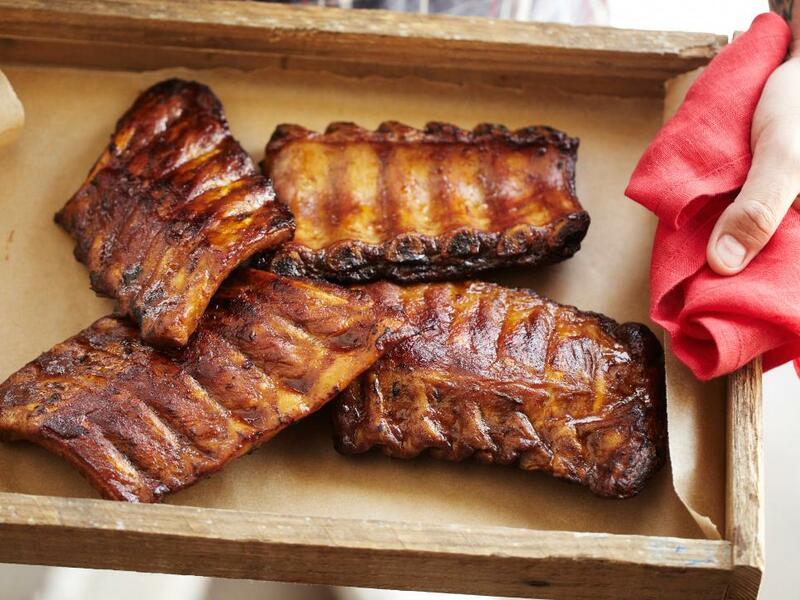 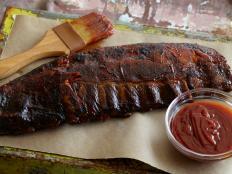 If you don't have time to make her tangy barbecue sauce, Paula recommends using your favorite bottled variety to ensure that this recipe is a cinch to prepare. 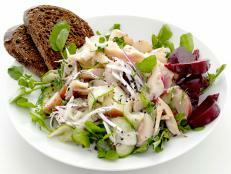 Paula's five-star salad is so simple to prepare. 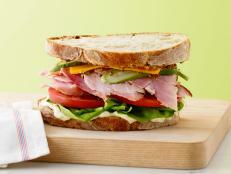 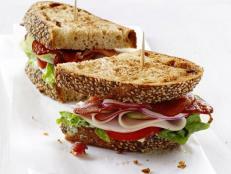 Make it in advance and keep it refrigerated until you're ready to serve. 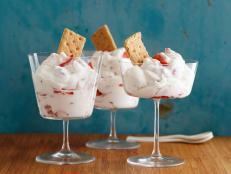 Celebrate strawberry season with this towering treat. 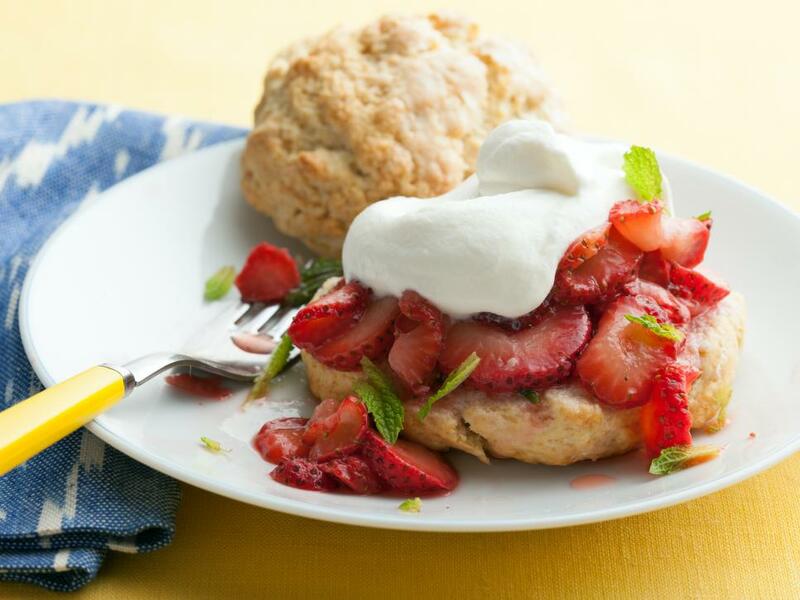 The texture of the not-too-sweet homemade biscuits are light and fluffy on the inside and crisp on the outside. 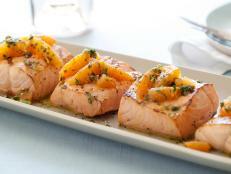 For a healthy take on grilled salmon, Bobby uses a mixture of sherry vinegar, Dijon and honey to make a sweet and tangy marinade for the fish before cooking it on the grill. 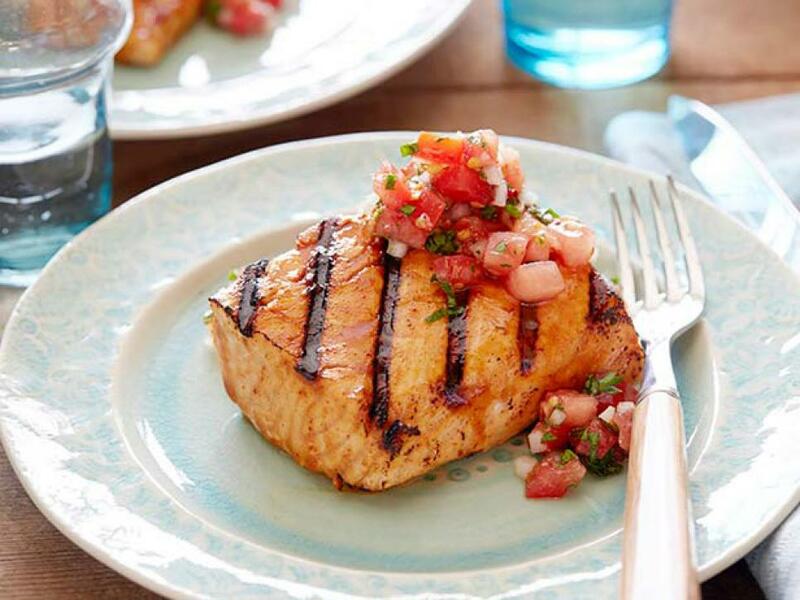 Made with just a handful of ingredients, Paula's creamy potato salad features skin-on red potatoes, chopped bacon and a quick homemade dressing. 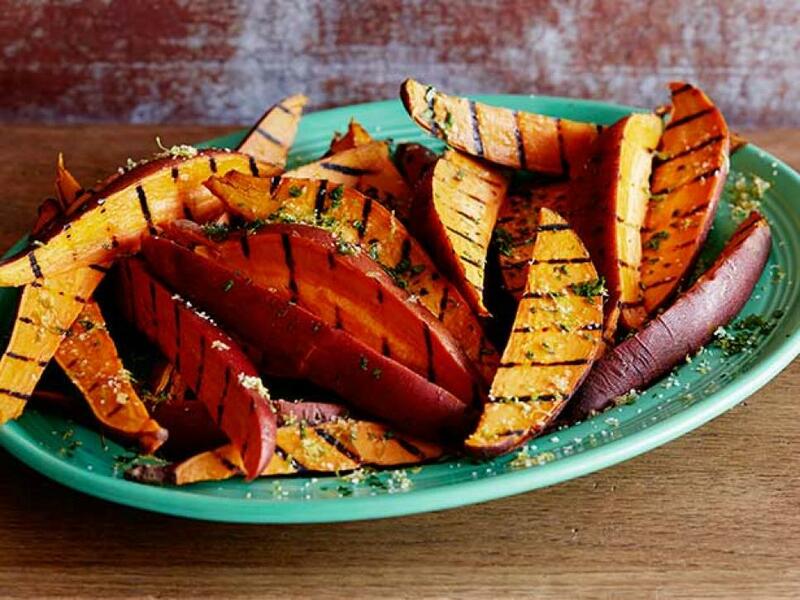 Fresh garlic, fragrant thyme and a pinch of red pepper flakes add bold flavor to Bobby's thick-cut sweet potato wedges. 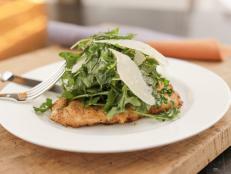 Celebrate Ted Allen's birthday by making his kid-friendly dinner, featuring lean chicken breasts coated in a Parmesan-breadcrumb crust. 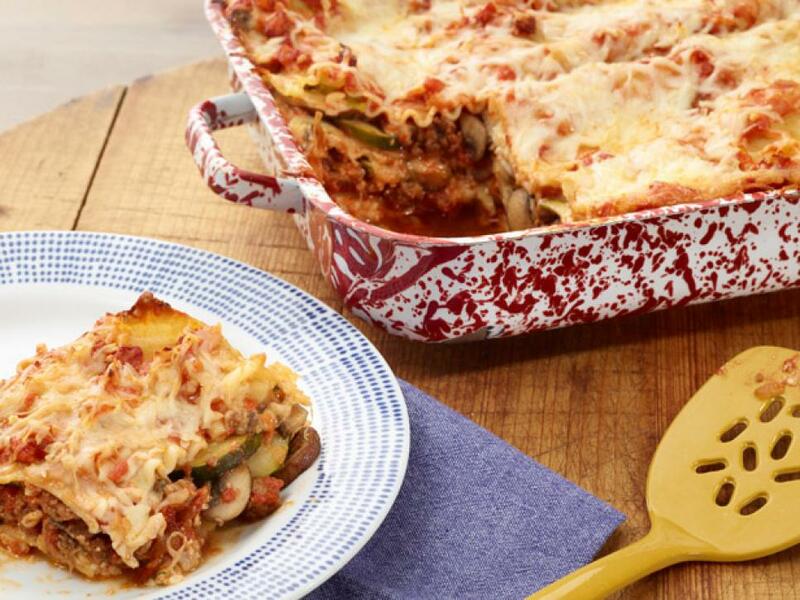 Filled with Italian sausage, fresh vegetables and creamy cheeses, Anne's classic lasagna feeds up to eight people, so save what's left over from dinner for a ready-to-go meal during the week. 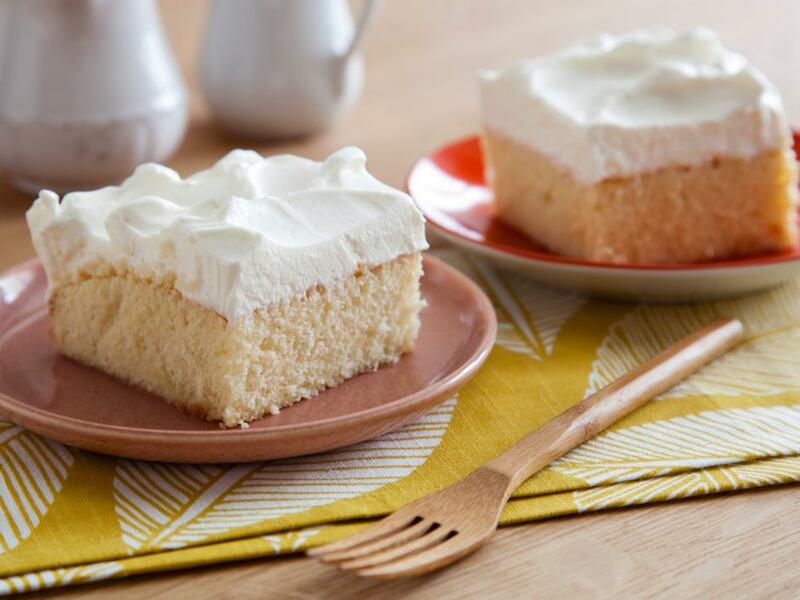 Paula's double-layer cake stacked with sweet cream cheese frosting comes together quickly, thanks to store-bought cake mix. 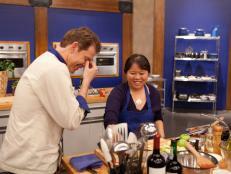 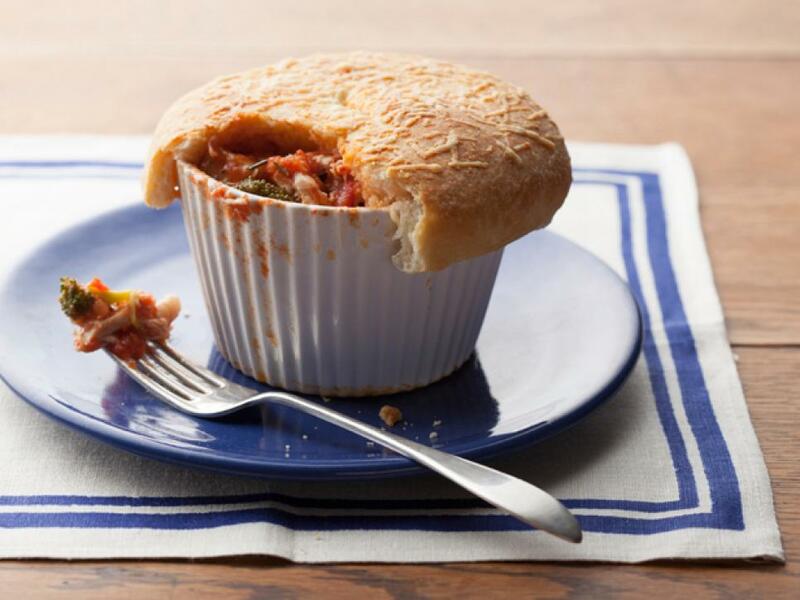 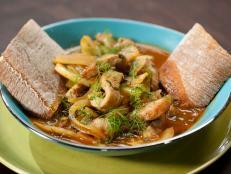 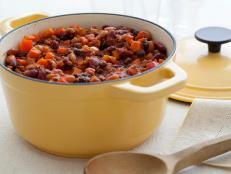 Giada's five-star recipe bakes classic pizza flavors into an individual pot pie. 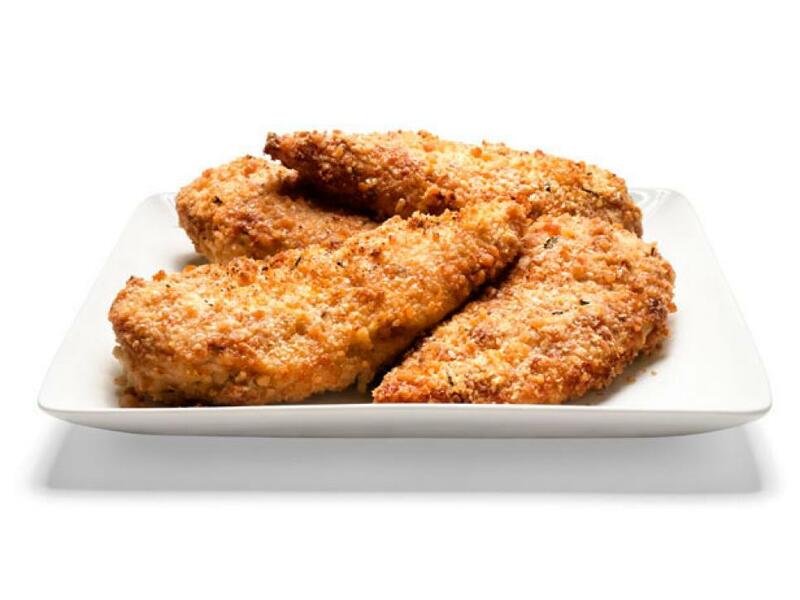 A crispy crust, fresh tomato sauce and mozzarella cheese will please even the pickiest of eaters. 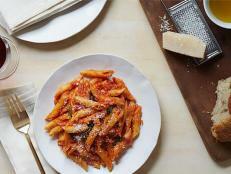 Paula's comforting mac and cheese is a big-batch recipe that's ideal for entertaining. 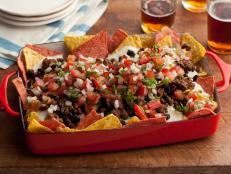 It’s made with an indulgent mix of six cheeses, plus butter and tangy sour cream. 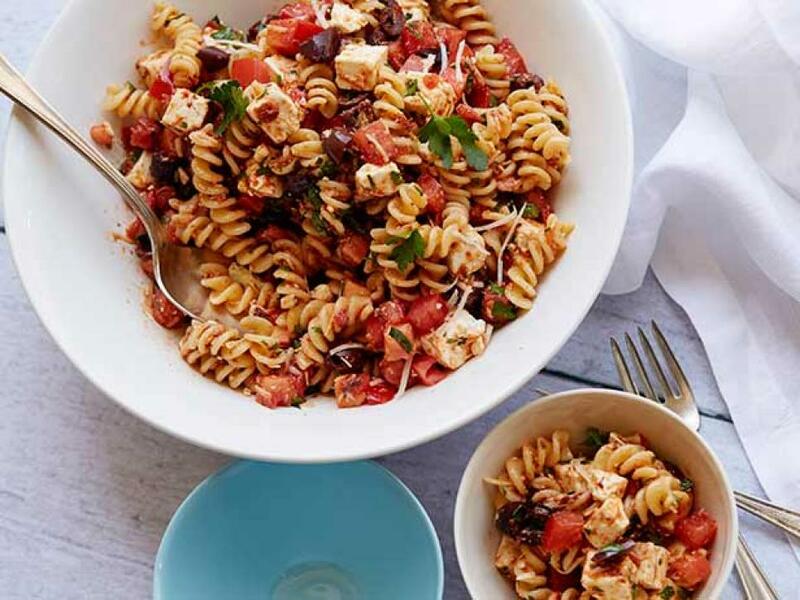 Ina's secret to making the best-tasting pasta salad: mix the ingredients while the pasta is still warm so it absorbs the most flavor. 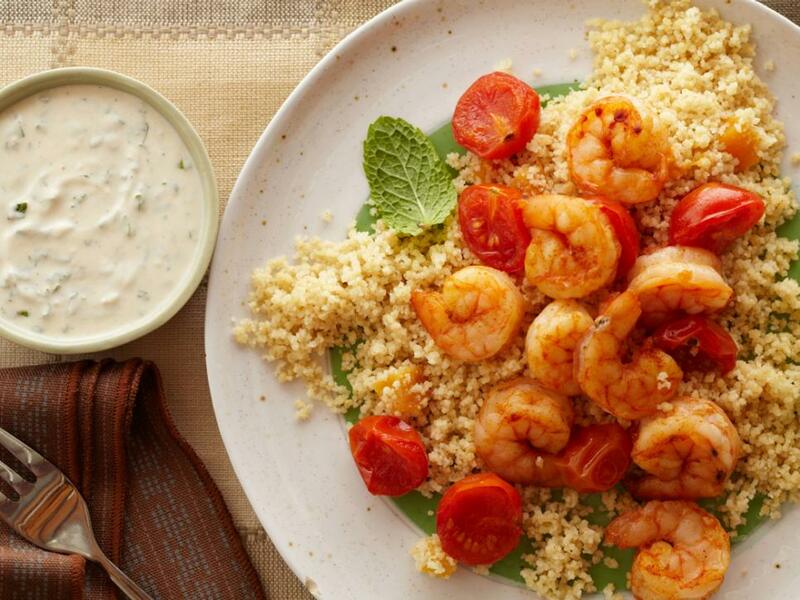 This quick Mediterranean-inspired shrimp dish is packed with whole grains, protein, vegetables and dried fruit. 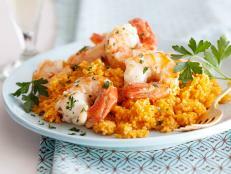 Prep the couscous while the shrimp broils to cut down on your time in the kitchen. 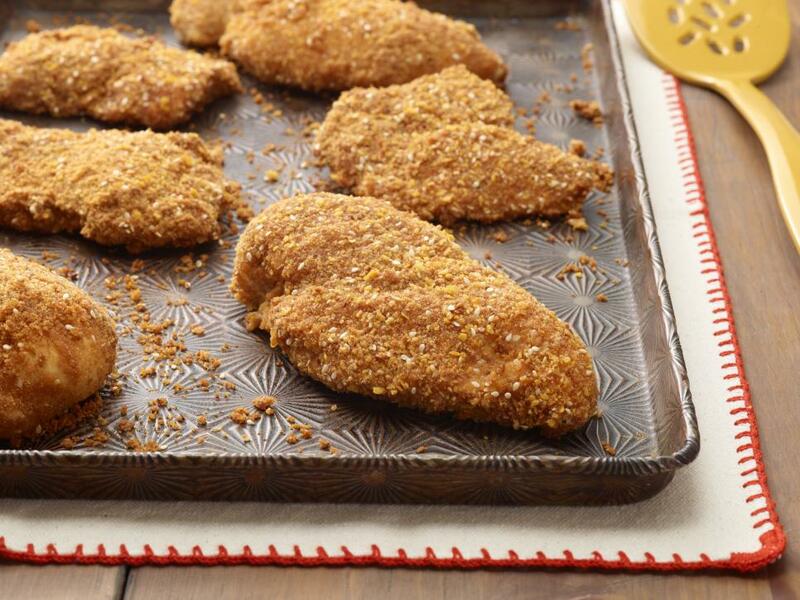 For chicken that's juicy and crispy, dunk it in a mixutre of yogurt and mustard, then coat with crunchy corn cereal flakes and bake. 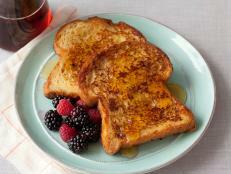 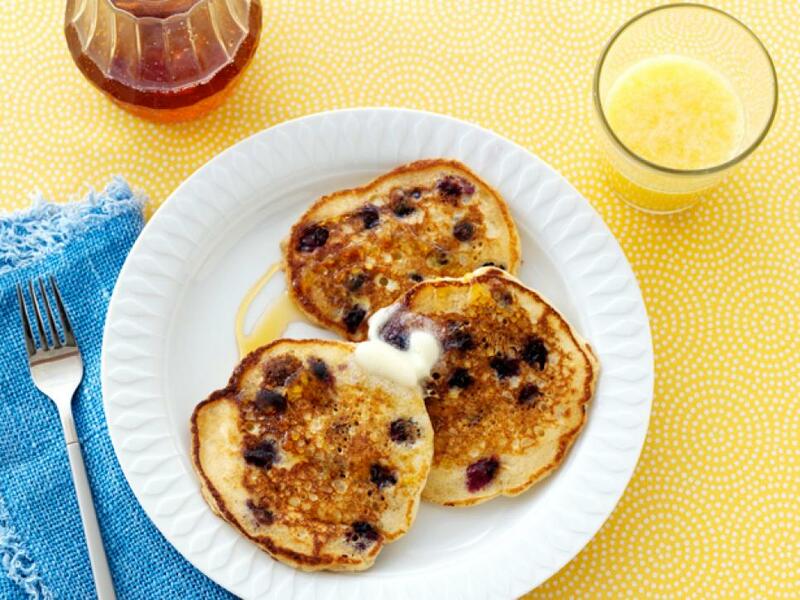 Present Mom with an extra-special breakfast of golden-brown French toast filled with cream cheese and fresh berries. 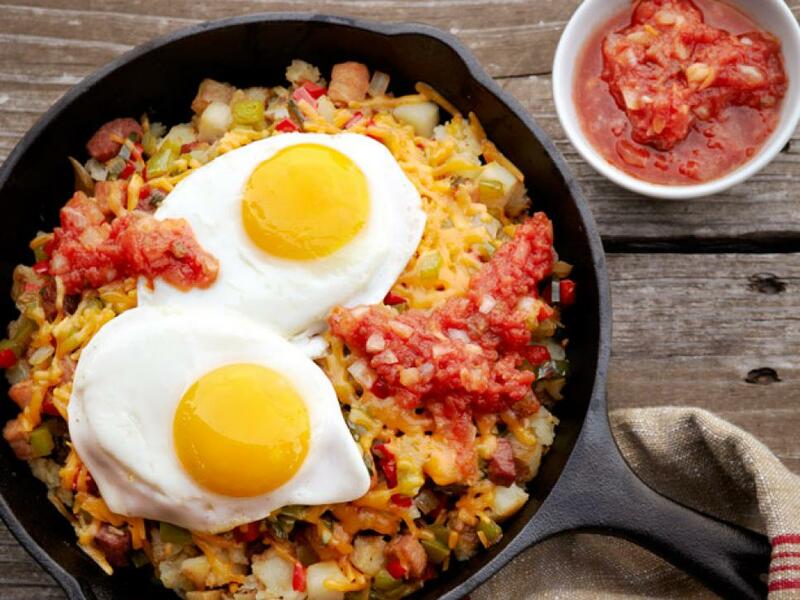 Ree Drummond gives great texture to this skillet breakfast by using two kinds of frozen potatoes: shredded hash browns and mini wedges. 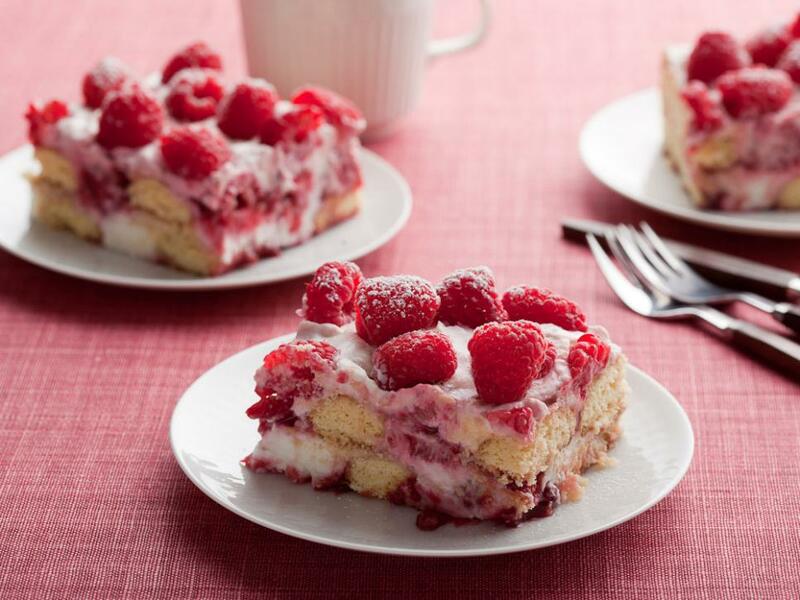 The secret to making Giada's five-star tiramisu is layering the ingredients so that the raspberry jam and mascarpone-cream mixture turn crunchy lady fingers into soft, cake-like bites. 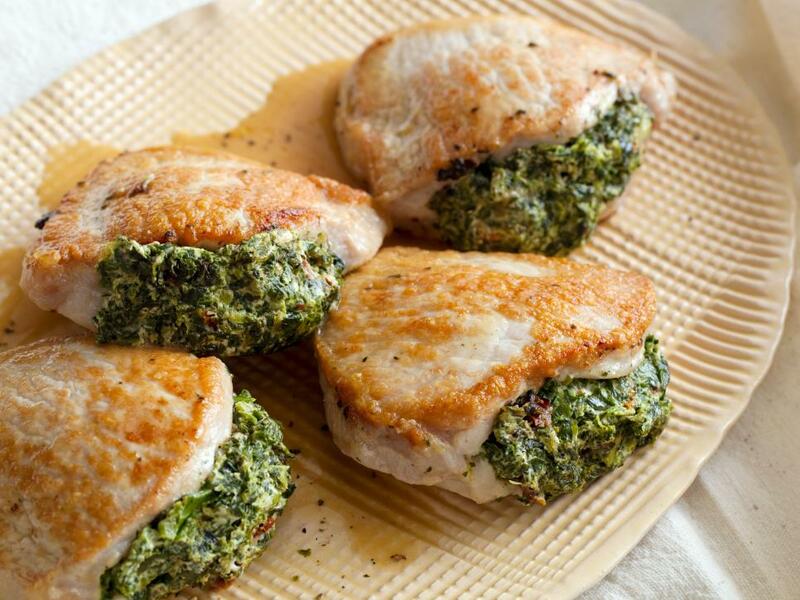 A simple filling of sun-dried tomatoes, spinach and goat cheese transforms everyday pork chops into a dressed-up dinner worthy of a party. 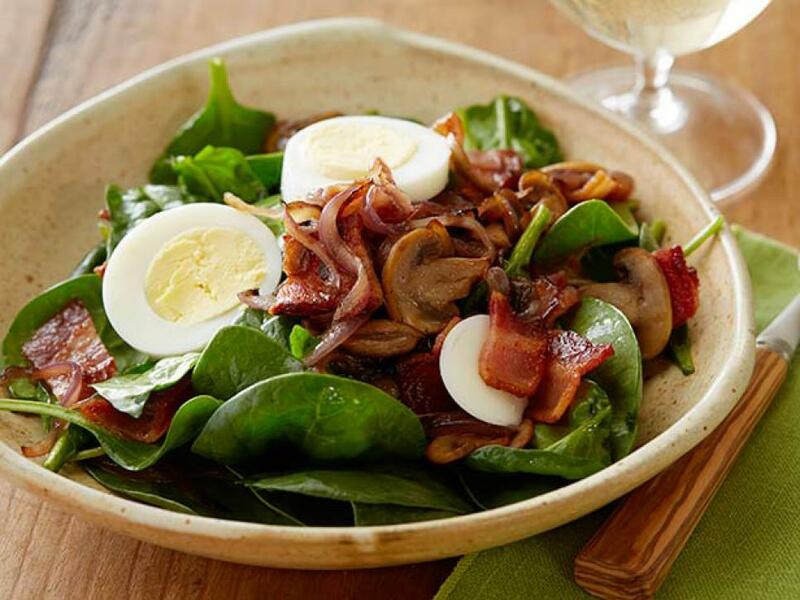 Ree Drummond has the ultimate recipe for classic spinach salad: raw spinach leaves tossed with caramelized onions, mushrooms and hard-boiled eggs, all tossed in a warm bacon vinaigrette. 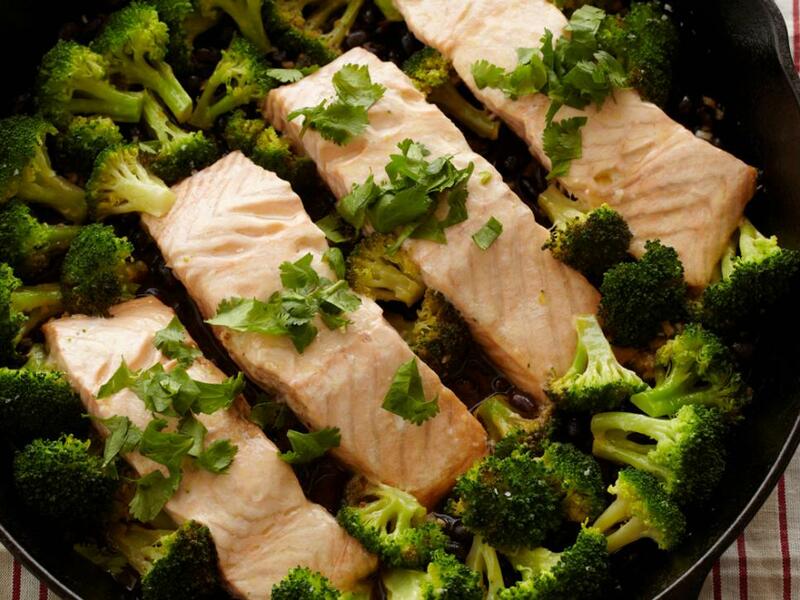 Turn heart-healthy salmon into a complete, Asian-inspired meal in just 20 minutes with this no-fuss, low-calorie, one-pan fish recipe. 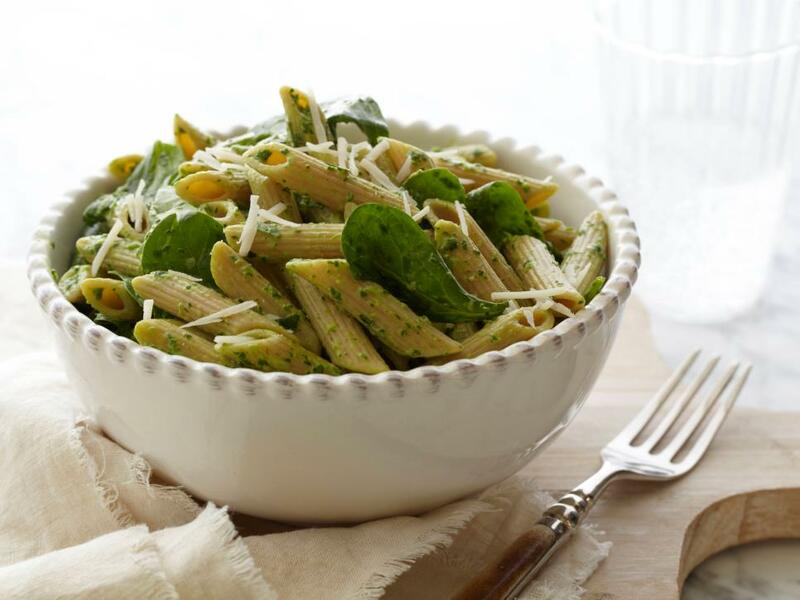 Giada uses fresh spinach instead of traditional basil to make her five-star pesto. 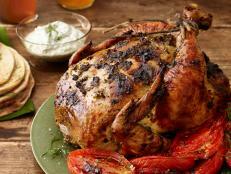 Goat and cream cheeses give the dish a creamy twist. 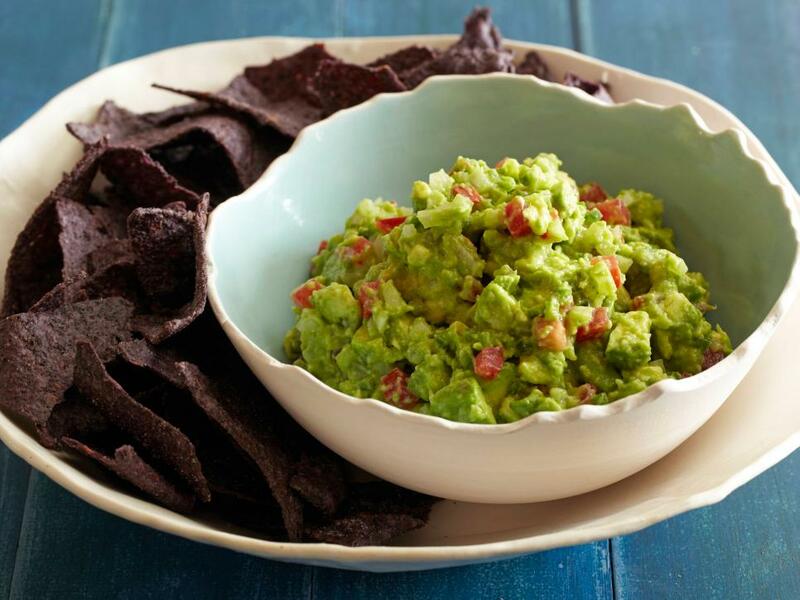 In just 10 minutes, Rachael prepares a chunky guacamole that gets a bit of heat from a single jalapeno. 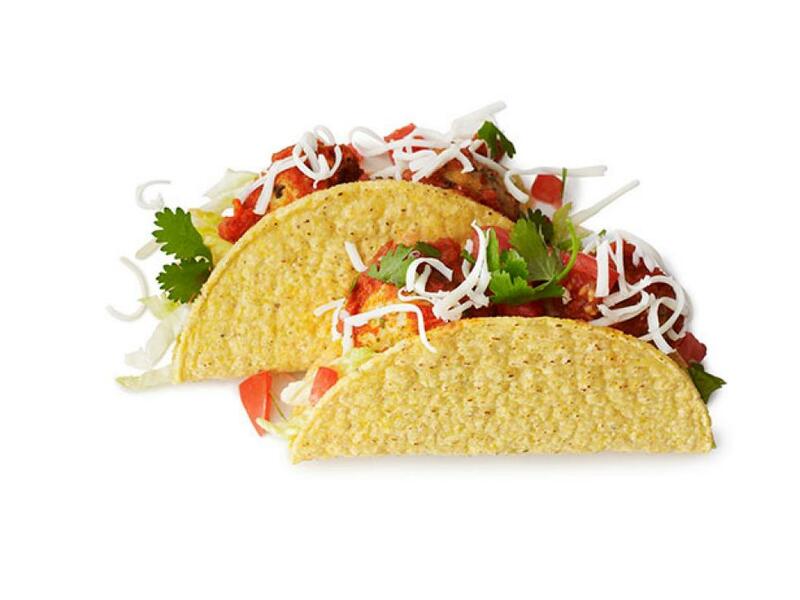 Combine two popular dinner ideas, tacos and meatballs, into one crunchy, hand-held meal for your family. 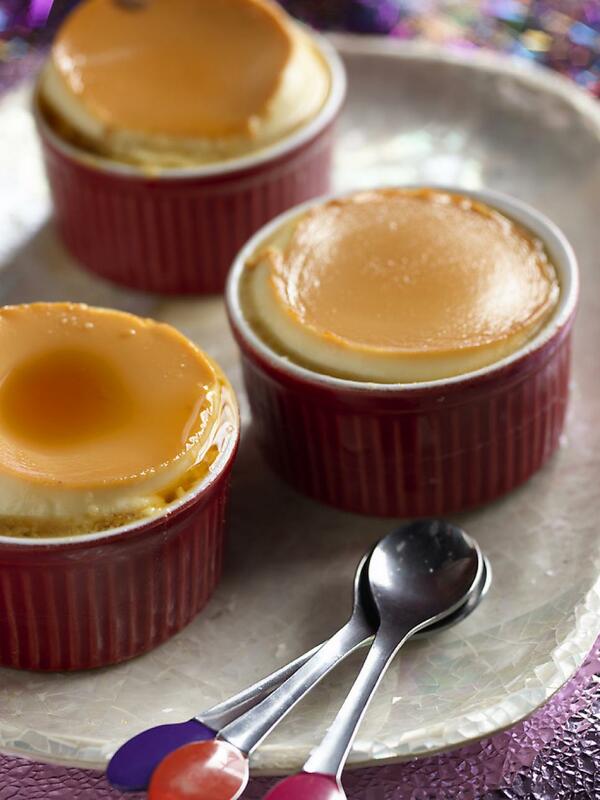 Rich and creamy, these individually baked desserts boast a caramel base and cream cheese-custard filling. 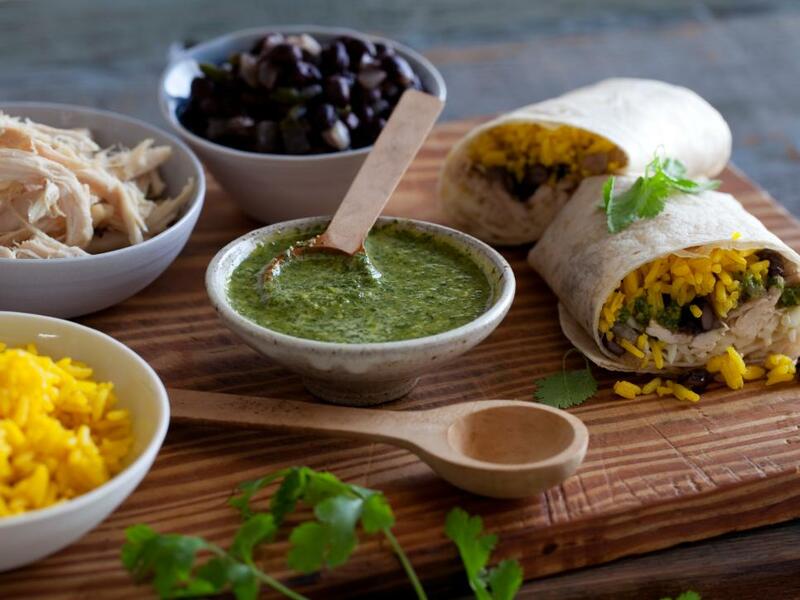 Arrange a DIY burrito bar complete with shredded chicken, rice, beans, cheese and avocado, and let your family build their ultimate wraps. 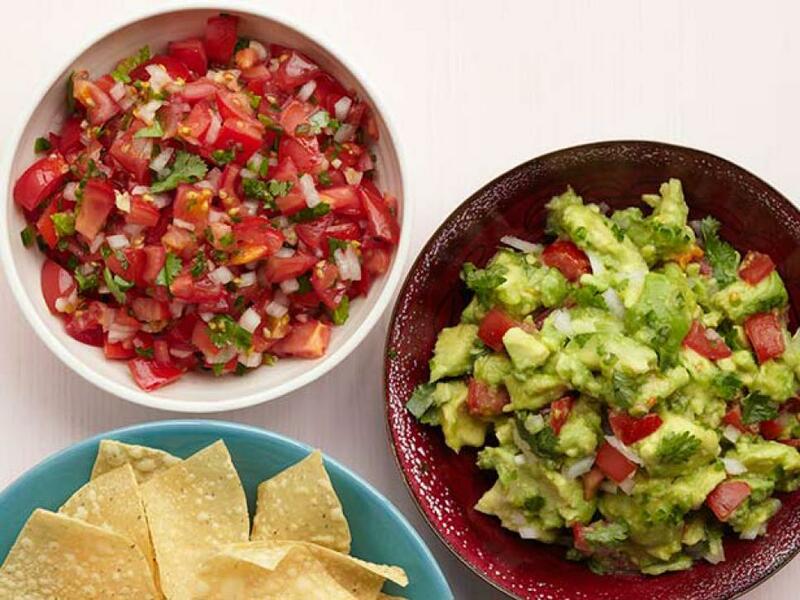 With a mix of classic and creative recipes like Black Bean Salsa, Fruit Salsa and Corn-Bacon Guacamole, Food Network Magazine's ultimate roundup of party-ready dips has something to please every taste. 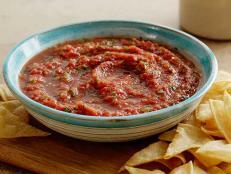 Ree Drummond recommends letting the salsa chill before serving so that the fresh flavors of the tomato, garlic and cilantro have a chance to unify. 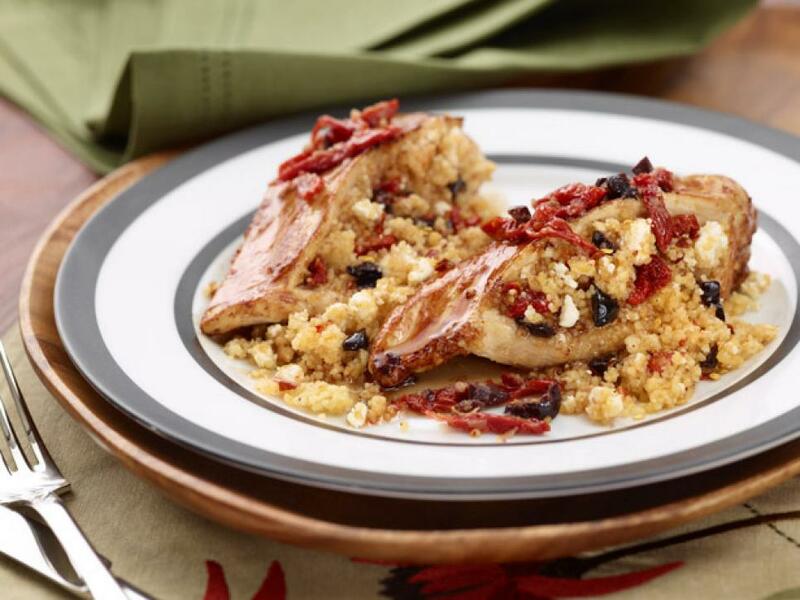 Guy fills lean chicken breasts with sun-dried tomato couscous studded with olives, then bakes the meat and finishes it with a white wine-lemon sauce. 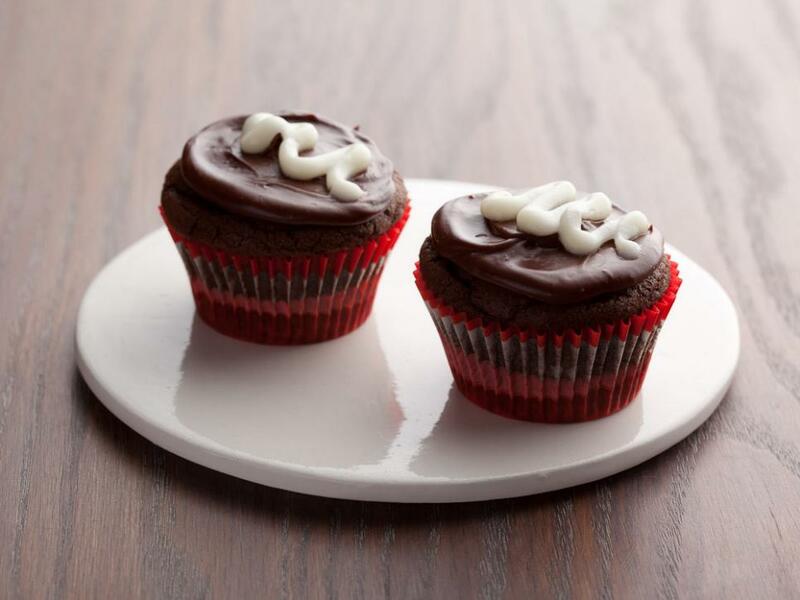 Sour cream and buttermilk add richness and a slight tang to these cocoa-packed cupcakes, finished with a rich dark chocolate frosting.